It's my first time linking up, this year one of my blogging goals is to link up more to other blogs so here goes. I buy Lexie so many pretty clothes but she seems she stuck wearing the same things over and over. If it isn't Frozen or My Little Pony it's not going on. H&M top - This as a pack of two for £9.99. 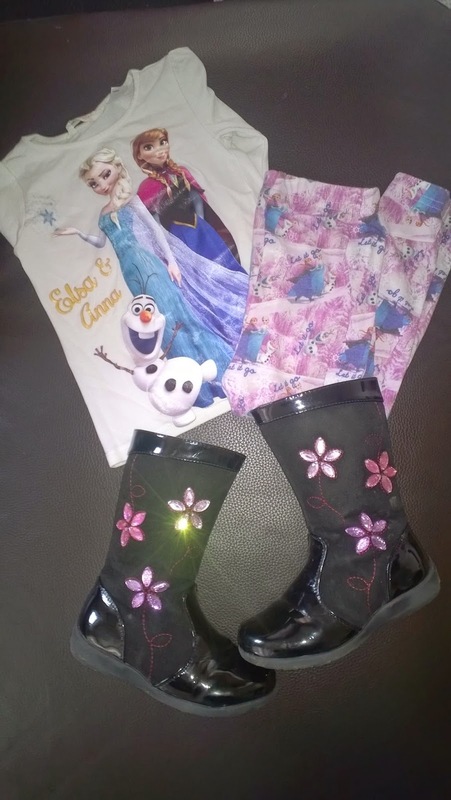 H&M - Frozen leggings £5.99. 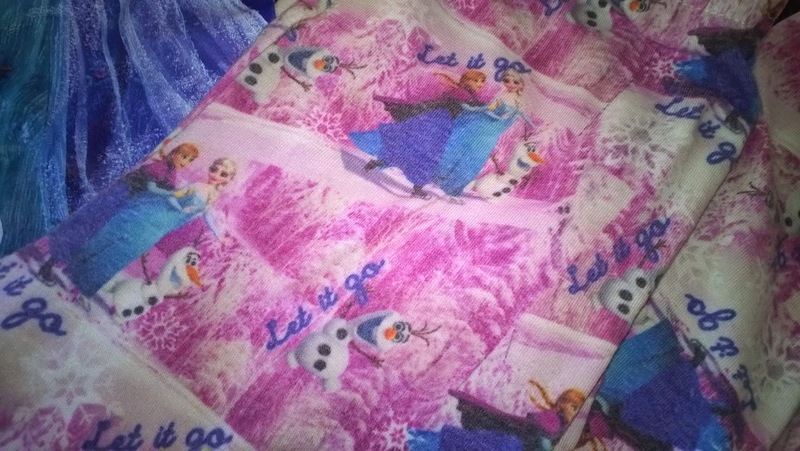 I love the print on these, they have Anna, Elsa & Olaf. With. The words let it go on. I buy a lot f om there now the quality is great too. 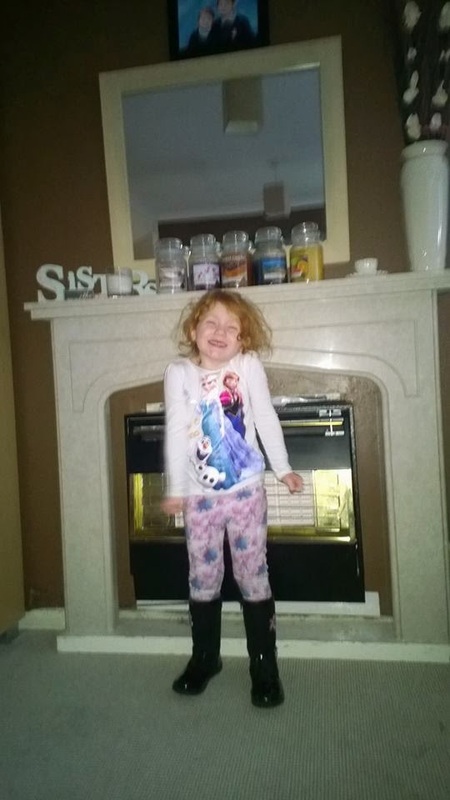 Lexie looks DELIGHTED! That outfit has clearly made her day - bless!